Excellent Service! My 7 year-old son went in for a check-up because he chipped his tooth and was complaining of tooth pain. The staff was so nice and professional and friendly. My son who normally hates the dentist actually enjoyed his visit. They have a lounge area where the kids can hang out and play video games and watch tv while waiting to be called back. The patient area is clean and kid friendly. The staff and Dr. Patel answered all of my questions. I was very pleased with the visit and would definitely recommend this dentistry. My boys & I love this place! Dr. Patel & her staff are absolutely the best. They make the kids feel so comfortable & proud of what they have accomplished at each visit. I highly recommend! Dr. Patel is such a great dentist. She's nice, friendly and super sweet. She let the parent as well as the children know what she is going to do so the children aren't afraid and I really like that about her. 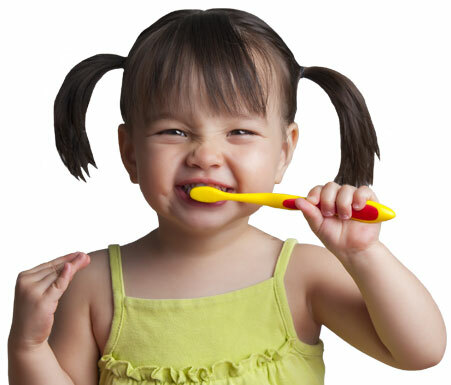 If you are looking for a great children dentist you should definitely take your children to see Dr. Patel at Midlothian Children Dentistry. Dr. Patel and all her staff members were excellent! My 3 1/2 year old said he had a great time. Very clean office and friendly/professional staffs that i highly recommend. From the moment we walked in to the minute we left, WHAT A WONDERFUL EXPERIENCE!! Dr. Patel and entire staff were so amazing, kind, friendly, and down to earth! So excited to find such a wonderful place to bring my little girls for their teeth! Looking forward to many more years with this practice! Thank you for such kind words! We look forward to decades with you and your beautiful girls. Can't wait to watch them grow. We needed a new dentist for my boys and Dr. Patel is everything I could have hoped for. Nice staff, Dr. Patel was easy to talk to and happy to answer all my questions, gorgeous office with lots to occupy the kids while they wait (not that we had to wait), like I said, everything I wanted plus some! Thank you for being apart of our family at MCD. You and your boys made our day! See you again soon. 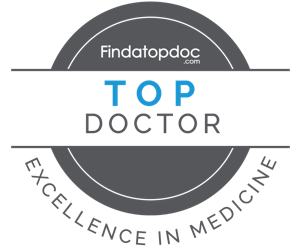 Dr. Patel and staff are truly a great addition to the Midlothian area. Exceptional and pleasant experience for my children. I look forward to future visits. Oh and the office hours are accomodating for the working parent! Thanks Dr.Patel and staff! Glad to have you! Can not wait to see your wonderful faces again. We've been looking for the right dentist for my two boys since we moved to Midlothian three years ago. I was thrilled to have stumbled upon Dr. Patel's practice. After meeting her and witnessing her passion for children and dentistry, we canceled the boys' appointments with another dentist right away. Dr. Patel is a rare find! With humor, kindness, and patience, she put my boys at ease right away. She is a knowledgeable professional whose love for children is obvious in everything she does. Thank you, Dr. Patel, for taking such great care of my boys. We are so thankful to have found you! We just had our first visit and will definitely go back! Office was child friendly, staff friendly and knowledgeable. We were in and out and both my kids are looking forward to going back. Thank you so much for the kind words. We love our families and we are so glad to know it shows. Cant wait to see you again. Happy Holidays! Loved the office and the staff. Dr. Patel was wonderful and i felt like my child was well taken care of, i am very happy to have found a great dentist for my toddler :). We love having such a wonderful family with us. Cant wait to see you again! First time in this office and everything was excellent since the moment i walked in there. Dr. Patel is a great doctor! And she explains everything into detail. I could not be happier with their service. Thank you Gabby! We loved having your little smiling angel in our office. I cant wait to see him again and again. We are all smiles over that face! Having Dr. Patel as my child's dentist has been a wonderful experience for us. She really knows how to appreciate a childs individual needs and make them feel at home. I only wish she would see me!